The World Forum on Urban Violence and Education for Coexistence and Peace opened its doors in Madrid from 19 to 21 April. The Forum, held at La N@ve exhibition centre in the Villaverde district, brought together local leaders, UN agencies, international networks, the academic world, NGOs and civil society to launch a process of debate and reflection on how to create urban environments capable of eliminating violence in all its forms. The Forum was announced at the UCLG World Council in Paris in December 2015, immediately after the attacks on the French capital in November of that year. The announcement represented the determination of the Mayors of Madrid and Paris, Manuela Carmena and Anne Hidalgo, to promote the values of peace in cities. As Manuela Carmena stated at the opening of the Forum, “this Forum is place to gather ideas and actors that create peace.” Carmena added that “local authorities can teach how to resolve conflict and violence”. In light of this, the round tables, plenary sessions and exchanges included authorities from cities and territories of all sizes. 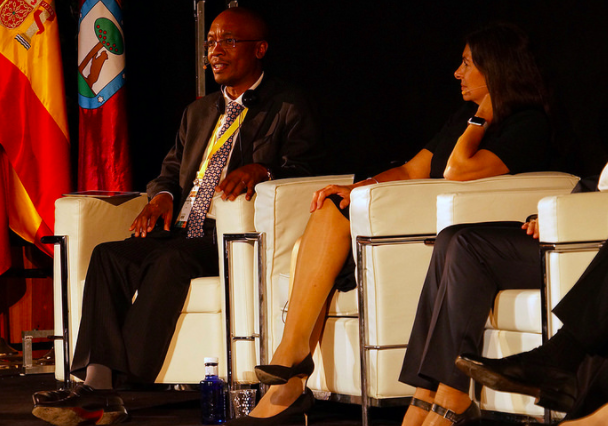 UCLG President Parks Tau also participated in the plenary session on peaceful cities, where he stressed that forums like these, which promote cooperation among cities and global leadership, are what networks such as UCLG are all about. In his words, the World Organization “is about local leaders putting our priorities on the global agenda and coming together to share perspectives and find solutions” to challenges such as the construction of peace. Parks Tau also congratulated the Mayors of Madrid and Paris for the initiative of the Forum. Anne Hidalgo thanked the associations and networks of local governments like UCLG that lead these initiatives that enable exchanges between local authorities and civil society. UCLG was a member Forum's organizing committee, together with the City Councils of Madrid, Paris and Barcelona; the Mayors for Peace network; the International Association of Educating Cities; UN-Habitat; the World Health Organization (WHO); the city network Metropolis; the United Nations Development Programme (UNDP); the Union of Ibero-American Capital Cities (UCCI); the Spanish Association of Research for Peace (AIPAZ); the Madrid NGDO Network; and the Madrid Federation of Regional Neighbourhood Associations (FRAVM). Violence affects the whole of society and, in this regard, the meeting in Madrid intended to open up dialogue and participation beyond these institutions to the communities in which conflict develops and is endured. 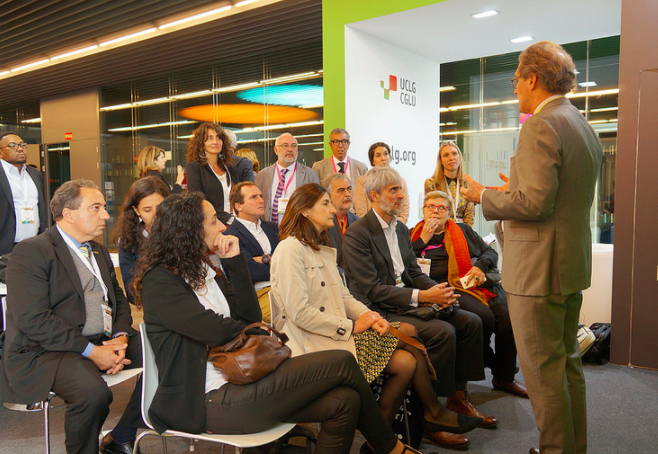 UCLG also had a stand dedicated to promoting peace, innovation and culture, which also acted as a hub for presentations dedicated to the UCLG awards.